The latest collection of Kwik Sew is here. I’ve been a bit down about the recent Kwik Sew patterns, but, I have to say that, on the whole, this release isn’t too bad. Nothing amazing (Kwik Sew is aimed at newer sewers, so that is to be expected), but certainly a few cute designs, including a good athletic-wear pattern, which is a nice throwback to all the great dance and skating patterns that Kwik Sew used to have. K4154 – Cute spring dress; the tied waist is an interesting design detail. I like the neckline too. K4155 – Classic button front dress. I can see this one being popular, and the princess seams should make it fairly easy to fit. K4156 – This dress pattern misses the mark for me, but of the three styles it does look like it would be the easiest to sew. K4160 – Love this top! Definitely need to add this to my stash. K4157 – Simple silhouette, but the color blocking is very effective. K4158 – Not really loving this pattern. My brain wants to like the color blocking, but something about the flare of the hem is not personally appealing. K4159 – The scoop neck looks really low, and I’m not really a fan of the puffy back. K4161 – It’s a skort! Actually, I think the regular skirt is pretty cute. K4162 – Simple jacket, but I think the contrast neckline and cuffs are an effective touch. Love the fabric choices for both example photos. K4163 – YAY! I don’t need another leggings pattern BUT I do like how high the waist is on these (my store-bought leggings keep falling down… sigh). Also really like the shirt design. This will be added to my stash for sure. K4166 (top) – Sandal bag. Somehow I always felt like anything going to the beach was going to get sandy anyway, so having an extra tote just for sandals feels a bit redundant, but perhaps it is just me. K0216 (middle left) – Ellie Mae fruit bags. Sort of cute? Could be a fun gift for kids. K0217 (middle right) – Weight loss placemats. I don’t know about you, but I’d have a hard time eating my protein with that staring back at me. Well, unless my protein was bacon. K0219 (bottom right) – Ellie Mae organization patterns. The hanging wall organizer could be useful. I’m not as sold on the other patterns in this set. And that’s it! 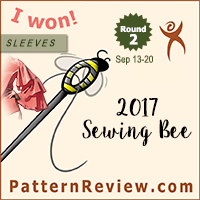 On the whole I think this is a pretty successful release for Kwik Sew. I’m actually excited by a few of these patterns, and while I don’t think I need to add the others to my stash, I think they are rather nice additions to the Kwik Sew line. What do you all think? 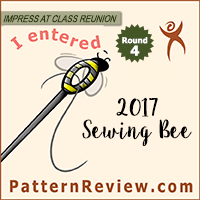 Is Kwik Sew making a rebound? Or are these styles too simple to be interesting? Anyone else happy that they are making new exercise patterns again? Feel free to discuss in the comments! I puzzled over the thong case thing too – just odd. The rest of the patterns are only OK, I’m not inspired or dismayed by them. Overall I think KwikSew are slowly moving away from frumpy and dowdy.